Aiden Lloyd is the temporary Coordinator of the Irish Network of the European Anti-Poverty Network and a member of the board of the Society of Cooperative Development Studies Ireland (CDSI). He was previously the national community development & equality coordinator with Pobal, an organisation that manages social inclusion and equality programmes on behalf of Government and the European Union. He has been involved in a range of community development, local development and regeneration initiatives in Ireland and Europe. This book looks to our future viability, indeed our very survival, and in doing so presents a number of harrowing dilemmas. How do we reinvent an economic system that is leading us towards the destruction of life on the planet? How do we break our obsession with material goods? And do we have governmental systems strong enough to embark on the massive transformative processes required to steer us away from environmental destruction? 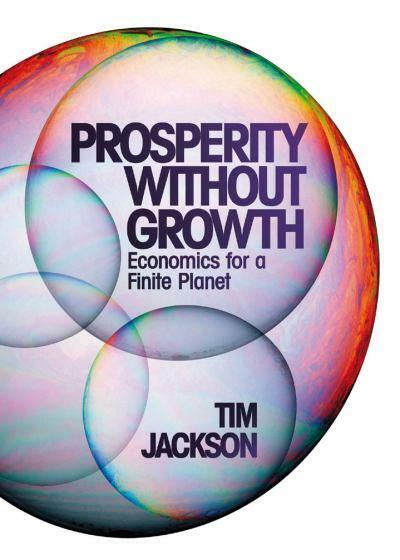 At a time when we are still anxious to find culprits, rather than systems, to blame for economic collapse, Tim Jackson is forthright in pronouncing the unsustainability of growth-led models of development. He begins by stripping capitalism down to its technical core, a system whereby people invest their labour and savings in businesses in return for an income; this in turn provides the capital required to produce goods upon which people spend a portion of their income and thus complete the cycle. The problem arises from the sheer efficiency of capitalism, which will eventually require less labour (and greater output) necessitating continuous expansion to create new jobs. This introduces the first dilemma. 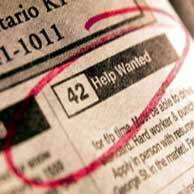 Growth is necessary for employment but utterly unsustainable in climate change terms. Growth is also a core requirement for third world countries. Here Jackson uses the evidence of Wilkinson and Picket to illustrate how growth is necessary to raise the health and well-being of millions in these countries – until it levels off as core requirements are met. But why do advanced industrial countries, which incidentally produce most of the earth’s carbon emissions, need to maintain this level of growth? The answer is linked to the human condition and the appetite for novelty. It appears that humans are not just mindless consumers of labour saving devices and gadgets but actually use material goods to carry out a social dialogue – to assert status, express aspiration, define and convey who they are, etc. When this is added to the ‘creative destructiveness’ of capitalism – the continuous overthrow and replacement of technical processes and products – we have the ingredients that maintain long-run growth. The obsessive entrepreneur and the pathological consumer are at the nub of the problem, but there is another influential player, one, hopefully, without obsession or pathology. Jackson contends that novelty-driven consumption is almost entirely socially constructed. While the needs that are met through consumption may be innate, the patterns of behaviour that we adopt to meet these needs are set by institutions; and institutions are set by the state. The majority of democratic states govern within an understanding of the social contract. This involves individuals yielding up some of their individual freedoms for the protection and common good that the state provides. In return the state introduces rules and regulations to protect and enhance the commonly accepted virtues and aspirations of society. If we take the premise that individuals tend to be short-sighted, capricious and acquisitive then rules and regulatory institutions protect us from the follies of impulse and instability – marriage, health and, dare one need reminding, banking, are illustrations of this. The problem is that the state has taken on the prioritising of economic growth as the provider of common wealth and well-being and has contoured institutions to promote novelty and consumption, while simultaneously setting ecological goals: Jackson points to the UK’s widely acclaimed Sustainable Development Strategy sitting within one of the most extreme liberal market economies in the world as an example of this paradox. So what of the solutions? How do we delink development and prosperity from destructive growth? In drilling down for answers, Jackson assembles a compelling package of measures that we need to adopt. Many are not new, but it’s the comprehensive nature of the package that makes it different. Encouraging an alternative hedonism directing us towards sources of satisfaction and social fulfilment that lie outside the conventional market would free us from material consumption. Promoting social enterprises capable of delivering social and economic goals would also reduce our blinkered focus on profit as the sole motivator. Breaking our dependence on carbon energy sources and investing in alternative sources and energy efficient buildings and transport is another. Facilitating investment in different forms of productive activity, where yields will be smaller, more long-term or even unquantifiable in monetary terms, is another change that will require a much greater presence of the state in financial and commercial activity. Jackson starkly sets out the complex interplay of economic, social, political and environmental dynamics that need to be factored into solutions, and in indentifying the scale of transformation and sheer endeavour required to divert us from destruction. He pins most of his hopes on governance, and the capability of states and global networks to make decisions that protect our long term interests. But is this within their capabilities? In terms of the potential of the nation state only the USA is influential enough to provide leadership, and it may be too tightly locked into an ethos of individual freedom to be a torch bearer. Global networks and institutions do not at first glance seem like a better proposition – Rwanda, events in the former Yugoslavia and the inability to alter the dynamics of famine and imbalanced development cloud any hopeful perspective. Yet there are some indicators of hope for audacious interventions of the required scale. For instance, in this, the biggest economic downturn since the Great Depression, governments have committed $7trillion to save the global banking system, a truly massive collective undertaking. Are we capable of an even more profound intervention? This is a compelling book, if not an easy read at times – particularly when it gets into macro economic theory and in driving the reader to engage with new concepts – but it is worth bearing with for its analytical honesty and its ability to maintain a direct line between problem and solution. It is particularly important for those involved in working with the materially poor, the socially excluded and those who experience inequality, for it is they who will first bear the brunt of climate change. I believe this is a most important book of our time – merging as it does the issues, concerns and insights essential for the transition to a new sustainable and equitable society. The responsibility now rests with environmentalists, community workers and social activists to carry these frameworks of understanding out to a wider constituency, preparing the way for the more intense participative dialogue that will be required between state and society if we are to be consensually directed towards our very survival. The vulnerability of weaker sections of society becomes obvious in times of recession. Already it is clear that those who can least afford further income reductions will be asked once again to ‘share the pain’ in December. It is clear however, that sharing – in the eyes of the Government – is a fundamentally unequal process. In a recent interview on Fox News, the Taoiseach Brian Cowen asserted that our 12.5% corporation tax rate is ‘non-negotiable’. It is interesting that such a fundamental aspect of our economy is not even up for discussion in a time when everything is supposedly on the table. Sadly, the incomes of the poorest people in our society have yet to make it into the ‘non-negotiatiable’ column. Calls for a reduction in income may be carefully masked, as were the reductions in social welfare payments at the last budget (justified on the basis of a fall in the cost of living) but they can also be overt. The call for a reduction in the Minimum Wage is totally transparent and is based not on a convincing economic narrative, but rather on political expediency from well-resourced and vocal sectional interests. Initially, the argument to reduce Ireland’s minimum wage was articulated and promoted by IBEC on the basis that we needed to improve competitiveness. While there is certainly a need for the Irish economy to become more competitive and dynamic, it is disingenuous to present wage reduction as a panacea to the competitiveness problem. For instance, our Scandinavian neighbours manage to operate highly competitive economies while also maintaining relatively high and relatively equal income levels. Furthermore, the wage reduction argument ignores a multitude of other factors that negatively affect competitiveness including underdeveloped infrastructure, high rates, chronically poor broadband and a lack of focus on research and innovation. More recently, ISME and the catering-hospitality sector have taken up the cudgel, calling for a reduction of one Euro in the Minimum Wage on the basis of saving jobs in sectors experiencing a significant downturn in business – mainly retail services, restaurants and hotels. Holding the line on basic income is central to anti-poverty work, so it is heartening that a robust evidence-based argument has been developed by TASC. Their report, ‘Square Deal? The Real Cost of making a Meal in the Restaurant Sector’ demolished the ISME argument for wage reductions in a sector that is dominated by low pay. Many of these low pay employment sectors have been regulated for many years by Joint Labour Committees. These JLCs set wages and conditions in employment sectors where normal negotiation and regulation processes are difficult, so they act as a safeguard, especially in relation to protecting the rights and entitlements of low paid employees. Earlier in the summer, Michael Taft drafted an interesting response to Dr. Garret Fitzgerald’s argument that wages in Ireland are unaffordable when compared to our European neighbours. Taft looked at three sectors; manufacturing, retail/wholesale, and public administration. In the case of manufacturing, Taft references evidence from EU Klems Database – which measures labour costs, productivity and capital compensation – which states that Ireland’s average labour costs rank 12th out of the EU-15, with an average of €20.76 as compared with the EU-15 average of €25.03. Similarly, Taft points out that the rise in manufacturing wage costs was not out of sync with other EU countires. In fact, from 2000-2007 wages in the sector increased by €5.20 – exactly in line with the EU-15 average. More recently TASC made a presentation on the Minimum Wage to the Oireachtas Joint Committee on Enterprise, Trade and Employment. Some of the key points made are outlined below. These are very useful for anti-poverty organisations in developing their analysis, arguments and counter-arguments to defend the meagre income of the marginalised and low paid. A more comprehensive note is available on the TASC website. The ’effect on individuals’ argument: The Minimum Wage was introduced to protect people who were living on the edge of poverty. That vulnerability remains, especially for migrants, women and young people who tend to be disproportionately represented in low paid employment. People on low pay spend a higher proportion of their income on food and a one Euro reduction would constitute an income reduction of 11.5%. Food prices in Ireland are already the second highest in Europe so this would severely impact on family poverty. The Vincention Partnership research, undertaken in 2009, demonstrates that a family of four requires an income of €578 per week. 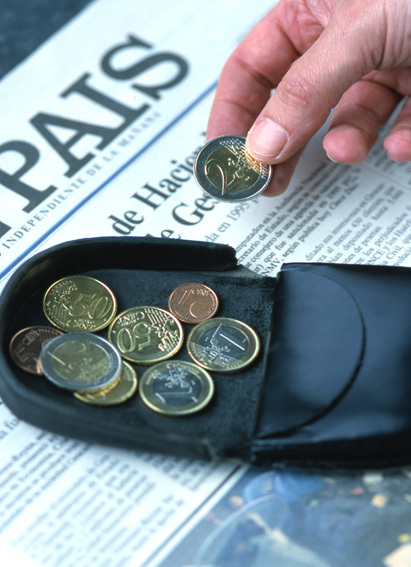 The Minimum Wage provides a weekly income of €337. The economic argument: Poorer people spend most of their income on basic items like food, accommodation and clothing, therefore reducing their income will have an immediate and profound effect on demand at a time when we desperately need to stimulate demand. In addition, the tax take will be further reduced through a reduction in VAT receipts, thus further exacerbating the deficit in the public finances. The competitiveness argument: Exporting firms in Ireland tend to be ultra productive because of key factors such as research, innovation and technology. These firms are thus more associated with the higher levels of pay required to secure highly skilled personnel. Minimum wage levels are not an important factor in their competitiveness. The comparative labour cost argument: Ireland has many of the characteristics of a low wage economy and the hospitality sector is the largest employer of low-wage workers. When compared with other European countries, this sector has the third lowest labour cost in the EU 15 during with labour costs averaging €15.65 per hour against €12.84 in Ireland – only Greece and Portugal are lower than Ireland. The Poor Can’t Pay – a coalition of NGOs, trade unions, and academics are also preparing a highly visible campaign against cuts to social welfare rates and the minimum wage in the next budget. As part of the 2010 campagin, the coalition has released a series of documents to support arguments for the retention of current rates. In the case of the minimum wage, you can download ’10 reasons not to cut the minimum wage’ on the Poor Can’t Pay website. Ireland has a poor record in setting income standards for its most vulnerable citizens and in providing protection for migrant workers, who tend to be employed in relatively low pay sectors. The baseline has traditionally been set by social welfare rates, specifically means-tested allowances. The introduction of social employment schemes in the 1980s (another time of recession) brought rates of allowances that were firmly tagged to social welfare rates, so the income standard remained at a low level. The introduction of the Minimum Wage, on foot of concerns that poverty could also be associated with employment, brought the income benchmark for those in employment to a higher level. There is now a concerted effort to bring the income benchmark back down towards the social welfare rate. While this is fairly typical of the type of onslaught that poorer people are subject to in times of recession, it is nevertheless heartening to see the formulation of a robust, evidence based defence of income rates for the lower paid emerging from the community and voluntary sector. For anti-poverty groups, the battle will focus on holding the line on income levels. Visit www.eapn.ie for up to date information on poverty, social exclusion and inequality in Ireland and Europe.